Ever get the feeling that someone is staring over your shoulder? 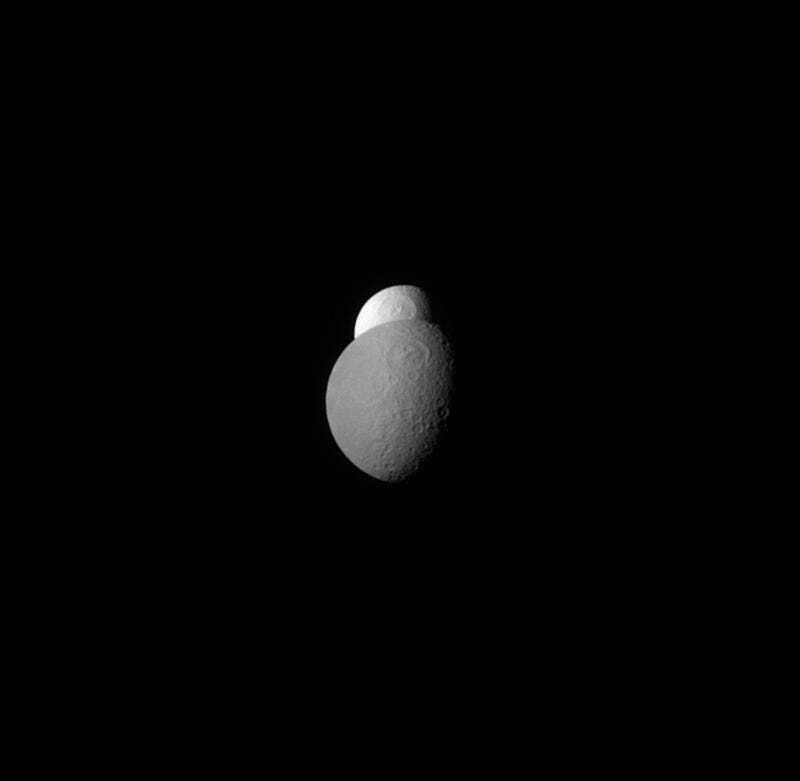 The Cassini spacecraft captured this rare view of Saturn's moon Tethys peeking out from behind its sibling, Rhea. Tethys appears brighter because its surface is covered in ice, which gives it a higher albedo, or reflectivity. Scientists believe that water ice jets emerging from Tethys' neighboring moon, Enceladus, provide the raw material that forms Saturn's second outermost ring, the E Ring. That frozen water eventually arrives at Tethys, periodically giving it a fresh surface layer of clean ice.